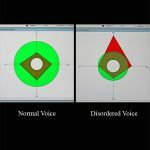 The Kansas Voice Center is equipped with a videostrobocopy unit that enables specialized personnel to fully evaluate the anatomy and physiology of the vocal folds. 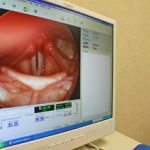 Videostroboscopy utilizes a strobe light that allows for a magnified and “slow motion” view of the vocal folds. 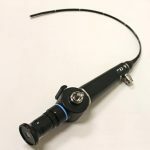 This allows us to identify subtle abnormalities that are not visible to the naked eye. Observations can also be made with respect to vocal fold shape, stiffness, movement, vibration patterns, and timing of opening/closing. The procedure is painless and involves looking through the nose and/or the mouth. 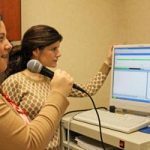 Stroboscopy is essential for any center evaluating vocal disorders. 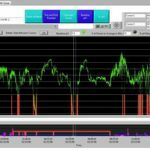 We utilize a formal computer program known as the Computerized Speech Lab. 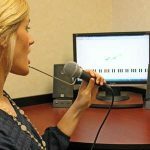 This program enables us to collect important base line information regarding vocal fold functions, as well as voice treatment results. 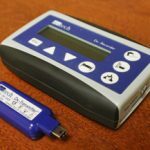 Testing of lung function is available using a spirometer. This is a device into which one blows to help evaluate lung capacity and function (the power source for the voice). 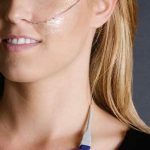 For patients suspected of having acid reflux, a 24-hour pH probe can be performed. 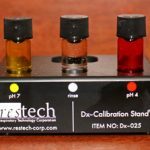 Though the majority of people with reflux do not require this type of testing, it is available in cases of difficult diagnosis or treatment failures. 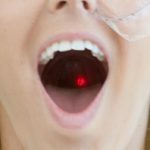 It involves placement of a small plastic tube in the nose and into the esophagus. One goes home for one day with this probe and can speak and eat normally. The probe records acid levels in different locations within the esophagus. Laryngeal electromyography is also available. 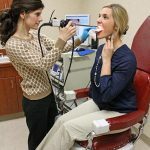 This test is done in conjunction with a neurologist and tests the neuromuscular status of the larynx.